What do robots need to do ... to work in these human-robot teams? After industrial accidents or natural disasters, the collection of information is crucial and robots can be precious allies to assist with this. 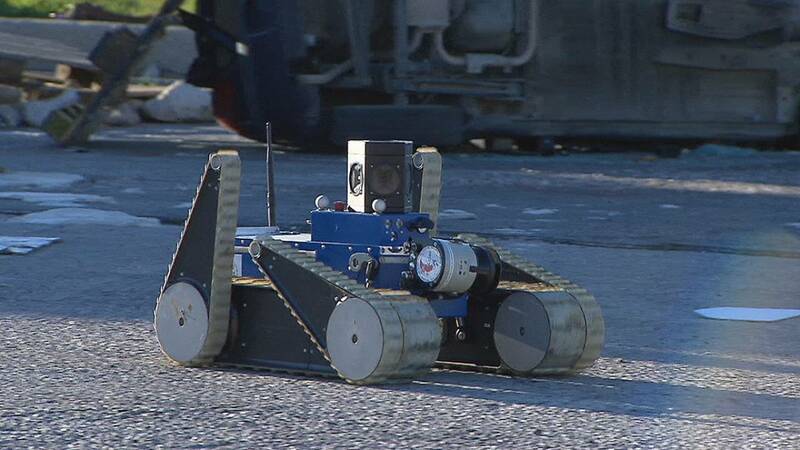 Ground robots and drones were developed within European research project TRADR. Remotely controlled, their mission is to search and explore the accident site. They can even create digital maps of the environment in three dimensions. The goal is to better assess the risks and protect the lives of the rescuers. Experts in robotics work directly with the final users, firefighters. Robots can carry any sensor needed in a particular situation, such as exposure to gas or radioactivity. Some even have articulated arms to gather samples. For researchers, the challenge is to optimise the interaction between machines and humans. Scientists were able to put their research to work during the devastating earthquake in Amatrice, central Italy, last August. At the request of the firemen and the authorities, they managed to deploy their robots to assess the damage of two classified 14th- century churches, San Francesco and San Agostino. “It was a difficult mission because the churches were in very bad condition, so much so the firefighters could not get in to make a detailed analysis. Mission accomplished. High quality textured 3D images will assist in building reinforcement and heritage protection. Firefighters and scientists are working to deepen their collaboration to have a team set for rapid deployment, ready to face any type of disaster.